On Feb. 15, the Lucy Rose Center for Global Leadership and Career Innovation hosted a launch event for the new Network 1772 mentoring platform. “It’s an advising, advisee mentoring platform with alum,” said Collier Lumpkin, the executive director for the career center. The platform Network 1772 runs through Firsthand, a website dedicated to “democratizing careers” according to their mission statement. Firsthand utilizes the networking power of alumni to help current college students professionalize. Now Salem College has joined the ranks. 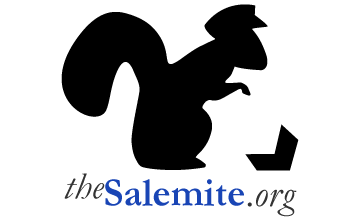 Salem College purchased the platform to use before Lumpkin joined the Salem staff in July 2018. Lumpkin and other administration, including the director of alum relations Jenny Stokes, did not begin recruiting alum until last fall, however. “They [alumni] put themselves in, so they want to connect with you,” said Lumpkin. After entering in personal data, students are then matched with alum based on similarities in their profiles and interests. From there, it is up to student choice who they contact and how. Students can choose to message directly on the website with alum, set up a video call via Skype, or phone call depending on their preference. “Our hope is that students really put themselves in…begin to build this alumni network,” Lumpkin said, commenting on the goal of the new online platform. Network 1772 is currently only open to juniors and seniors. But if alumni engagement continues like Lumpkin hopes, the platform will open to everyone by the end of the semester. “We want to keep a good balance…we’re afraid that if we get too many students, we’ll overwhelm the alum, and then it won’t be as fruitful for anyone,” Lumpkin said. Though Network 1772 has only recently opened, some students are already beginning to see results. “It was nice to have someone validate my feelings and plans,” said Fiona Johnson, a junior history major. Within a week of signing up on Network 1772, Johnson matched and talked with an alum over the phone. Johnson has plans to work abroad; talking with an alum with similar interests helped reassure her of her career and personal aspirations. Johnson shared that to her, students seemed excited about the opportunity for alumni connections. She added, however, that Network 1772 posed benefits for alumni, too. “Network 1772 is a way for alum to give back to Salem that is not financially based,” Johnson said. Alumni are excited, based on Lumpkin’s observations. It’s apparent to Lumpkin that this program would benefit seniors, juniors, and the rest of Salem’s community. She stressed how important it is for juniors and seniors to join now that Network 1772 is open.